I like the content of your web page but please change its color to some how bright if you can. You can refer the "And Adrigen" web site. God bless you. Thank you. Will you change ur front page of "Tselote Hamuse", now its "Beale Hamesa"
I wanna ask you about Tehadiso. Now Sinodos decide on some spiritual leaders. But we don't know them personally as well as the names of the priest. So, how can the Ortodox follower know them separately from another priest. They can transmit to congregation simply. B/c we don't know who they are. Even if I'm not diaspora, 1. 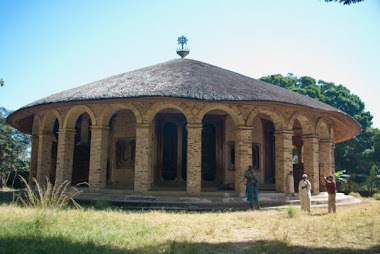 I wanna to get information about Oromo & Orthodox. Some people think that Orthodox is only 'habesha'(I think you understand me) religion. Please, leak enough information about this. 2. Unlike other religions, there is no orthodox website (having songs,lithurgy &etc) in Afan Oromo/oromigna/ which means around 15 oromos who are the follower of this religion are not concerned. So, think about this as you are evangelist of Christ! God bless!